Why would the IRS now be invoked to enforce this medical racket? The answer can only be that somewhere at the top of government, someone is diligently working to destroy America. The collapse of an empire isn’t pretty. (NaturalNews) Even if Obama’s health care reform bill becomes law, mandating that all Americans buy health insurance policies for a failed system of “sick care”, I will refuse to comply. I’ve read the U.S. Constitution and its Bill of Rights, and nowhere in that document do I find that the federal government has the power to force consumers to purchase for-profit insurance products from private companies. The very basis of the health care reform bill is, at its core, unconstitutional. If this mandate is allowed to stand, it sets a dangerous precedent for the U.S. government to require us to purchase other products and services from whatever industries it chooses to support. What’s next? Will the government pass a law forcing us to buy pharmaceuticals at thousands of dollars a year? Will it force us to purchase U.S.-made automobiles in order to boost the automobile industry? Is our economic free choice now centrally planned by our own government operating like Communist China? This is a serious question that Constitutional scholars will no doubt be debating in the months ahead. But who am I kidding anyway? 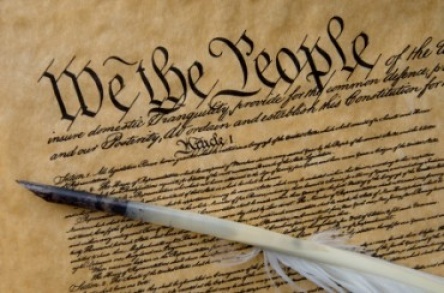 The U.S. government has long since abandoned the U.S. Constitution and no has any intention of abiding by it. Want proof? Read just one amendment: the 10th amendment. In addition to the very serious legal problems with government-mandated private health insurance, this health care reform law strips away my right to choose what type of medicine I wish to be treated with. I don’t find any credibility in the drugs-and-surgery approach to health care. The pharmaceutical industry is riddled with scientific fraud, quackery, corruption and criminal behavior — much of it documented right here on NaturalNews.com. Its drugs are approved by a corrupt, dishonest regulatory agency (the FDA) that has abandoned science in its quest to push more drugs onto the people. Why should I, as a “free” American, be forced to pay money to a system that I know to be largely based on fraud? If I had a choice, I would prefer to buy into a system of naturopathic care, where doctors respect the healing ability of the human body and try to work with the patient instead of assaulting him with chemicals and surgeries. But Obama’s health care reform bill gives me no such choice. I cannot choose to direct my money into a system of medicine that I trust and respect. Instead, I am being forced to pay money into a system that is morally corrupt and scientifically fraudulent. It is a system that will only bring more harm and suffering to the people while enhancing the profits of the greed-driven corporations behind this medical scam. I find it highly offensive that my own government would threaten me with a financial penalty if I refuse to pay money to such a racket. It’s much like being forced to pay a “protection fee” to the mob. With this health care reform decision, our government has now become the enforcement branch of the Big Pharma crime ring, using the powers of the IRS (http://www.usatoday.com/news/washin…) to intimidate people into handing over their money to a gang of dishonest corporations that have found a whole new way to take Americans for a ride. With this bill, all Americans are essentially being held up at gunpoint. We’re being mugged on the streets by our own government, and they’re demanding not only our money (to the tune of over $15,000 a year for a typical family) but also our lives — because conventional health care may very well cost you your life! The whole thing is pure highway robbery, sanctioned by the government. The arrogant Congressmen and Senators who passed this law are, themselves, guilty of robbing the American people blind in order to redirect money into the pockets of some of the wealthiest corporations in the world: the drug companies. Has anyone bothered to answer the simple question that if tens of millions of Americans can’t afford health insurance now, how are they supposed to afford to pay the fine for not buying any? Forcing people to buy something they already cannot afford is a truly idiotic idea. It’s like passing a law that tries to solve the homeless problem by making it against the law to not buy a house. The reason they’re homeless is because they can’t afford a house in the first place! Similarly, the reason people don’t have health insurance right now is because they cannot afford to buy any. How does forcing people to buy what they cannot afford solve anything? This is why I’m now convinced that the whole point of the health care reform bill is to destroy American families. It was designed from the start, I believe, to drive more families into bankruptcy and government dependence. It’s all part of a package of new initiatives that appear to be created specifically for the purpose of destroying America through debt and disease. You can reach no other conclusion, really, if you think about it. When you start to realize about what our nation is doing with its fiat currency, how the U.S. government has to rent debt from the private corporation known as the Federal Reserve, and how the drug companies are bankrupting cities, states and federal programs, you really have to question the motives of a new law that would further worsen both the debt and health problems now tearing our country apart. Why would members of Congress pass a health care “reform” bill that offered no reform and no health? Why would the Obama administration be engaged in under-the-table, behind-closed-doors deals with the drug companies just to make sure they continue to be able to charge monopoly prices for their dangerous medications? Why would the IRS now be invoked to enforce this medical racket? The answer can only be that somewhere at the top of government, someone is diligently working to destroy America. There’s no faster way to accomplish that goal than to keep people diseased and indebted, and this new health care reform racket accomplishes both of those goals quite nicely. That’s why I simply refuse to pay into such a system. For me to spend money supporting such a racket goes against every moral fiber in my conscious existence. I would no sooner pay money to this racket than I would donate dollars to murderers or rapists. Every dollar that goes into this system only perpetuates the crimes against humanity currently being committed by the pharmaceutical industry — especially against our nation’s children. I guess the IRS is just going to have to issue me a fine. If so, I’ll pay it under protest, but I’d rather pay a fine to the IRS than hand over my money to the corrupt, failed system of western medicine that pretends to offer “health care” in America today. I’ll have the last laugh, of course, because this whole charade will come tumbling down soon enough. We are watching the last days of the Roman Empire reflected in America now. The closer any empire gets toward collapse, the more insane its legislative initiatives become. Sheer desperation drives its legislators to enact outrageously ill-conceived laws that would normally never even be considered. Such is the nature of the last desperate gasps of a crumbling empire — an empire that has now turned to looting its own citizens as a last-ditch effort to keep itself afloat. Of course, every collapsing empire does much the same. The looting of the citizenry is, in fact, one of the more important signs that a collapse is imminent. It has happened repeatedly throughout history, and it usually involves a looting of the treasury and an abandonment (or hyperinflation) of the currency. Punitive taxation of the population — or a mandate requiring people to part with their money — is nothing new. In the big picture, what we’re seeing in the United States with this health care reform bill isn’t an aberration; it’s merely one milestone in the accelerating decline of an empire that has forgotten what freedom really means. Mark my words, because I will out-live the American empire by a wide margin: After its collapse, historians will look back and they will recognize that it was disease and the broken health care system that was the final straw. No nation that keeps its population diseased and bankrupt can hope to have any real future, and America apparently has no intention whatsoever to even legalize actual healing or medicinal herbs. This nation has made a decision to outlaw healing, to outlaw natural medicine and to pursue a corrupt, broken system of sick care that offers no hope for the future. It is a fateful decision for a nation that will one day serve as an important history lesson. The title of that lesson, by the way, will be “How America destroyed itself with debt and disease while keeping its powerful corporations filthy rich.” In the end, of course, everybody loses. There can be no abundance, no wealth and no hope for any nation in the long term unless it finds a way to keep its people healthy. America is now set on a course to learn this very difficult lesson the hard way. The US government and the Federal Reserve are doing everything they can to bankrupt America and to destroy the US dollar. The US government and the Fed are controlled by the elite behind the scenes, that wants to destroy the middle class and the constitution of this once great country. I am delighted to be here in these new [Council on Foreign Relations] headquarters. I have been often to, I guess, the mother ship in New York City, but it’s good to have an outpost of the Council right here down the street from the State Department. We get a lot of advice from the Council, so this will mean I won’t have as far to go to be told what we should be doing and how we should think about the future.